A wonderful, really thought-provoking piece from Father Stephen! What is man, that thou art mindful of him? and the son of man, that thou visitest him? (Psalm 8:4). The question, “What is man?” written perhaps a thousand years before the coming of Christ, is the bedrock of true humanism, the only form of dignity that can sustain human life. Our modern world continually re-imagines our nature, but God alone sustains it. I can think of nothing more assuring that the speculation, “What is man?” in a heart of wonder. I can think of nothing more terrifying than the same speculation in the cold calculus of the modern state. Human dignity is among the youngest thoughts on earth and far from universally subscribed. We are daily exploited, murdered and used for unworthy ends. Individuals fail to see their own worth and give themselves over to evil ends. “What is man?” indeed, and why should we consider ourselves to be of any particular value? Holy evangelist Columba, pray to God for us that He might save us! 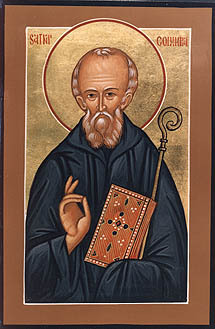 Saint Columba of Iona, known as Colum Cille in Old Irish (“dove of the Church”) and Calum Cille to the Scots Gaelic tribes, served as one of the “Twelve Apostles of Ireland” (Saint Patrick being one of the more well known). He evangelized to the Celtic Irish tribes as well as the Picts of present-day Scotland. He frequently prophesied of future disasters and cataclysmic events. A great online book review site and shop to meet the needs of Orthodox clergy, teachers, researchers, and academically-minded laypeople and inquirers! 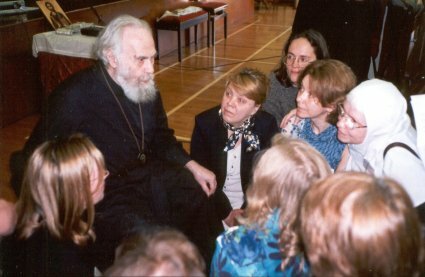 Metropolitan Anthony Bloom (1914-2003) was an internationally renowned Russian Orthodox author, speaker and radio broadcaster who served as bishop, archbishop, and then Metropolitan for the Diocese of Sourozh, the community of Orthodox parishes in Great Britain and Ireland under the Moscow Patriarchate. Many revere him as a saint. 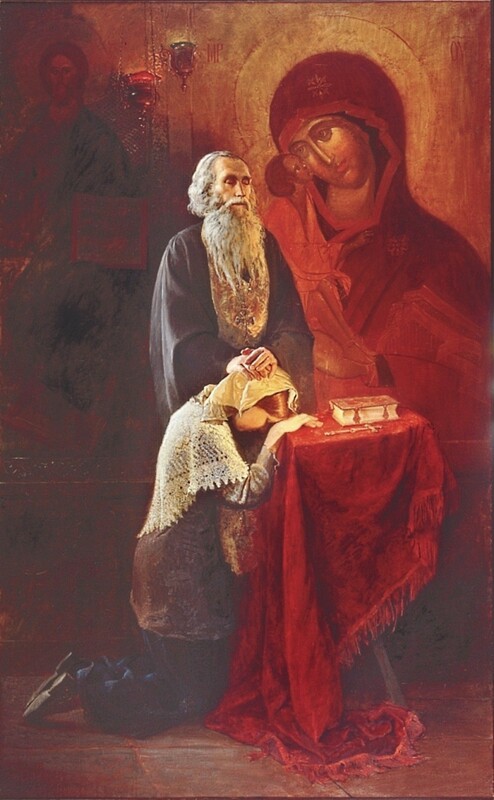 In her two thousand years of wisdom, the Church has offered the mystery of confession so that her faithful may come to her priests, her servants, as if they were approaching a trusted confidante, a friend who is there just to listen and observe, to hear of your sorrows and your tribulations. You know your confessor is not the doctor of your soul but only the secretary facilitating the meeting, as the priest reminds us when he tells his spiritual child in the prayer read before Confession, “I am but a witness”. As Metropolitan Anthony observes, the priest “is called by Christ to be before the person, the sinner, a witness to the fact that he, the sinner, is loved, that Christ is there, that He has no other desire or intention but the salvation and the joy eternal of the one who has come today.” Think on this: the priest, the man who represents Christ to your parish, comes to you as a servant of your Creator, and he is there not to condemn you, or to presume to judge you, for God alone knows your spirit and what is written on your heart. The priest is there to point you toward the “joy eternal” the Savior would offer to you. Who then are we meeting, to whom do we come with our spiritual illnesses, the tumors of sins and misdeeds weighing down our spirits? We come to our Creator, the Physician of our souls and sculptor of our very being. Metropolitan Anthony writes that “When we come to confession we come to meet a friend face to face.” This friend is none other than our Lord Jesus Christ, our Savior and Redeemer! Rather than be afraid of Him, let us do as St. John the Beloved Apostle exhorts, and come to Him as His children, who “know the Father” and are aware of His Son’s love for us (1 John 2:12-13). St. John promises us that we are beloved “children of God” (1 John 3:1-3). Our heavenly Father loves us and beckons us to become “like Him” purifying and sanctifying our bodies, spirits and souls in faith. The Lord’s Beloved Disciple reminds us that “it has not yet been revealed what we shall be” and that when the faithful shall someday see God “as He is”, “we shall be like Him” (1 John 3:1-3). Think on this! It makes sense that if we are all His children, made in His image, with a unique spirit and a soul of His crafting, He would want us to become “like Him”! Only He knows our true potential, our true personhood which He fashioned out of nothing. If we have “this hope” to become like Him, we must purify ourselves of sin (1 John 3:3) and we do this through confession. Let us not be afraid, for to confess to Him is to return to His light, to leave behind the burdens of guilt or grief or shame, and to repent, to turn away from these things, and unto Him, our “Light of Light, true God of true God.” As the Prophet Isaiah reminds us, our sins separate us from God, obscuring from us the light of His face (Isaiah 59:1-2). Many Russian Orthodox and British converts came to deeply love and honor Metropolitan Anthony. 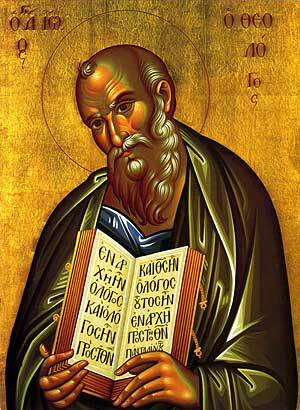 As St. Paul writes in his epistle to the Romans, “All have sinned and fall short of the glory of God” (Romans 3:23). Sin literally means “to miss the mark”, so, as you can imagine, most priests are sinners as much as any of their parishioners. This is why the priest acts only as a witness in confession. 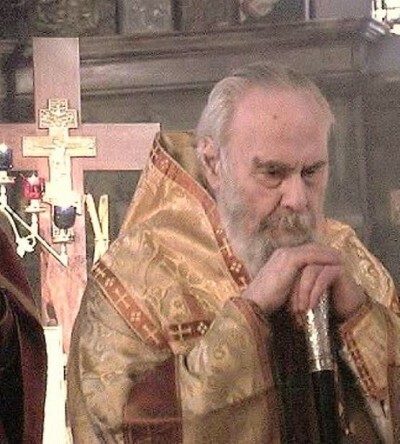 I was raised in the Roman Catholic faith, and in this Christian Tradition, similar to yet in many ways very different from the Orthodox faith, the priest similarly says, at the prayer of absolution ending the confession, “I absolve you of your sins” but without the humble reference the Orthodox priest invokes as God’s “unworthy servant”. Both Orthodox and Catholics cite John 20:23, when Christ bestowed upon His Apostles the authority to remit the sins of the faithful, for biblical proof that Christ gave their priests the power to absolve sins as successors to the apostles. Yet the Roman Catholic prayer of absolution does not implore Christ “by the mercy of His love” to absolve sinners, mainly because the Roman Church views their priests as ‘dispensers of grace’. Unlike in Roman Catholicism, in Orthodoxy, when you confess, the priest is present, but only as a witness of your words. You confess directly to our Heavenly Father and to our Lord and Savior Jesus Christ. As Metropolitan Anthony observes, when we come into the mystery of confession, “we are not coming to be judged or condemned. We do not come in terror of what will happen. We come to the One who, being God, beyond suffering, beyond death, has chosen, for the love of us, to become Man, to take upon Himself all our human destiny and to give His life for us.” We come to our Savior and Redeemer, who loves us with a love we can barely comprehend, a love we can hardly fathom from the depths of our heart! We do not quake or kneel before a terrible God of anger and wrath, but, as Metropolitan Anthony reminds us, we come to Him who took on our fallen form, the form He created that it might realize its innate divine purpose. We come to Him who gave His life so that we might, in cooperation and obedience to His will and His life-giving Spirit, realize His promise of eternal life. Memory Eternal to the venerable reverend Metropolitan Anthony of Sourozh! The Metropolitan observes, “We are so loved of God that we can come up to Him whether we are good or bad with hope that He will receive us with open arms; that if anyone is to cry over our unworthiness and our sins it is Him, for compassion, for pity, for love.” What an awesome, cosmos-shaking love this is! What a love which captivates and astounds people to this day! When you unburden your heart of your sins, putting them into words before the priest, you show God, who knows your sins before you even commit them, that you understand them and admit them for what they are. You thus begin the process of repentance even as you are confessing! As the Beloved Disciple of our Savior reminds us in 1 John 1:8, “If we say that we have no sin, we deceive ourselves, and the truth is not in us.” It is so simple: rather than deceive ourselves, we need only admit our sins, our “missed marks”, wherever we have done wrong or failed to do good, and, as St. John promises, “If we confess our sins, He is faithful and just to forgive us our sins and to cleanse us from all unrighteousness.” (1 John 1:9). He loves you, and wants to cleanse you “from all unrighteousness”, that you may be fulfilled to the very summit of your being, the very height of the purpose for which He created you in His image. Thus, when you are deliberating whether or not to go to confession, do not worry. Pray in simple words and humility to your Savior, pray to your Father in Heaven, and the Spirit of the Lord will move you to confess when God wants to illumine your spirit. If you feel promptings to go to confession which you did not previously, this is the Holy Spirit speaking within your soul! Go, then, to confession, when you have “missed marks” to speak of, be they wrongs committed or good deeds left unfulfilled. Go when you want to talk to a Friend who is waiting for you. Go when you feel the burdens of sin in your soul, in the quiet of your heart, and, as in prayer, you will find a constant Friend who knows your sins before you committed them, who has numbered every hair on your head and is already aware of every sin you will ever commit in your life. You cannot hide secrets from Him Who is all knowing, for He made the hearts of holy saints just as He made the hearts of those who wish to deceive themselves and Him. As Metropolitan Anthony observes, do not think “of punishment or of rejection but with open heart pour out everything evil or doubtful there is in this heart. And Christ will receive you. He does not reject you. Come, open your heart, speak in all truth to Him, knowing that you are loved beyond judgment, to the point of sacrifice and death: His death, and your life—life in time and life eternal.” Go to your Lord, seek out your God, and fear not. He will never stop loving you. He craves for you to return to His loving embrace, His light which is the true path. Thus, He invites you to turn from whatever harmed you, whatever caused that disturbance in your soul, and turn to Him. 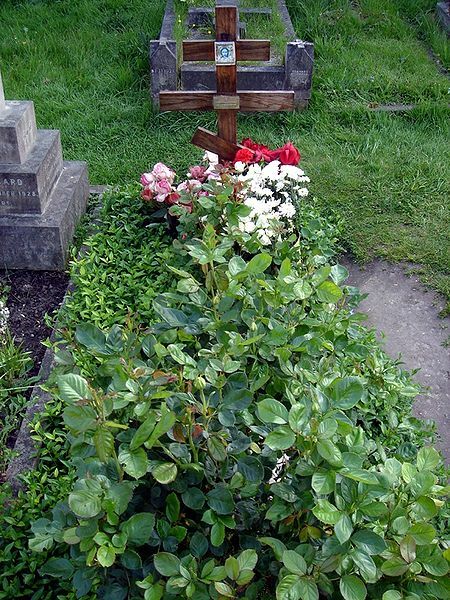 Memorial to Metropolitan Anthony in Brompton Cemetery, London. Holy reverend Anthony, pray to God for us that He might save our souls! The witness of the Church, thus, is the antithesis of cold legalism. She closes her doors to no one, nor bars any of her children from the process of healing and repentance. The Church has never said, does not say, and will never say, “If you do this, go away, for you are lost”, or “If you sin this way, despair, for you are irredeemably lost!” For the Church to say this would be blasphemy. Instead she says “if you sin, if you transgress, do not flee from us, do not go away, but stay with us!” To those who flee from her in fear, shame, or trembling, she beckons, “Come back!” She is a loving mother—when her children are hurt, even if they tripped up and hurt themselves, she wants to help heal them. She is always waiting for them to come to her, always endeavoring to bring them unto the Physician of our souls, the Father of our spirits. Whatever you have done or failed to do, whatever is ailing your spirit, plaguing your soul, she wants you to heal. Let her help you. Do not wallow in shame or guilt and become as an island unto yourself, for that leads to isolation, then loneliness, then a deep spiritual famine, a noetic starvation of the soul which can become a prison, a snare in which the Evil One becomes your master. This can lead to despair, in which God, though right next to you, waiting to dwell within you, can seem far away, absent, even uncaring. The Church of Saint Catherine the Great Martyr in Moscow is the Orthodox Church in America’s representative parish church to the Moscow Patriarchate. As a caring mother, the Church, who raised you in the light of the Lord, brought you into communion with the Savior and Creator of your spirit. In baptism her servants helped you “put on Christ” (Galatians 3:27) as a babe new to the world and spotless of sin, awaiting the promise of greater communion with Him as your life unfolded. In chrismation you confirmed the promises of your baptism, taking on the mantle of a Christian, an ‘anointed one’ who believes in the name of Jesus Christ as Lord and Savior of the world, and you received the transcendent grace and outpouring of the Holy Spirit which seeks at all times to dwell within you. 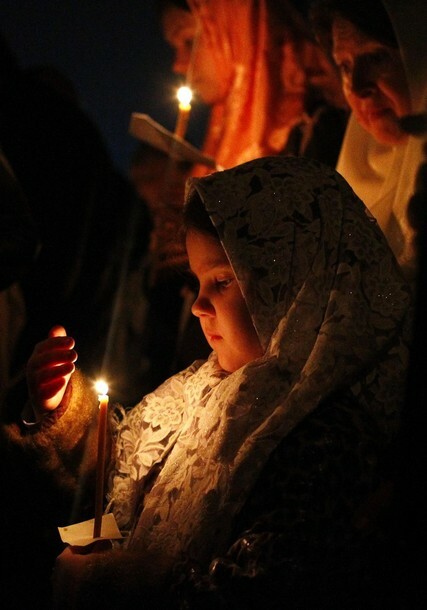 In all these formational years, from your birth to your glorious years of youth, you see that the Church seeks to bring you and keep you in the light of God, and in this light “is no darkness at all” (1 John 1:5-7) but cleansing “from all sin” by faith in the “blood”- the loving redemption- of the Lord Jesus Christ. 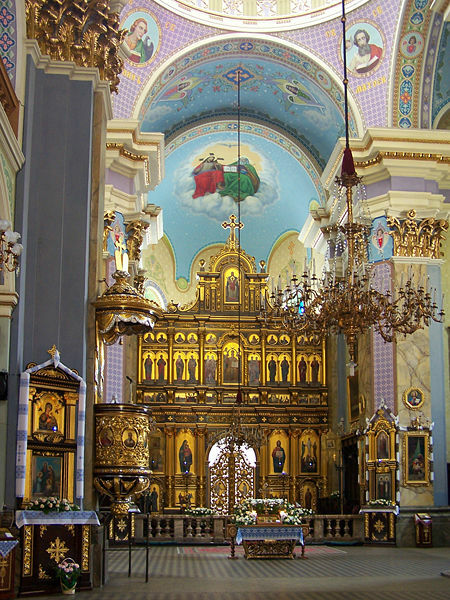 Lviv Church of the Transfiguration, Ukraine. So the Church implores you: do not allow yourself to fall into the snare of guilt and despondency, but remain in the light of the God who cherishes you, whose beloved child you are. Remain here with us, among us, part of the Church, joined to the Body of Christ. Remain here, whatever you have done or failed to do, for you are no less worthy to bask in the light of God’s presence than I am, or any one of us standing next to you. “Let he who is without sin cast the first stone”, Jesus told the mob in John 8:7 as they planned to stone a woman for adultery. This passage is not silent on the woman’s guilt: Jesus does not declare her innocent of adultery, for she was apparently caught “in the very act” (John 8:4). He does not wipe away what she has chosen to do, for that kind of a rewind does not lead to any real healing or repentance. What did Christ do for this woman, besides save her life when He told her “Neither do I condemn thee: go, and sin no more” (John 8:11)? By telling her to “go, and sin no more”, He gave her the freedom to go on as she had been doing, continuing in sin, but exhorted her to “sin no more”. He commands her to turn away from adultery. He commands her to a life of new-found sanctity and repentance. Think on this passage, and its truly awesome implications: Jesus Christ, who was present as the Logos, as the Word of God, at the very creation of the world, Who created each of us in His image, intervenes directly to save the life of a sinner, a woman rightfully condemned to death under Mosaic law, the law of His people Israel. Why does He do it? What does He say to her? He does not give her a free pass to continue sinning with impunity, nor does He humiliate her in public, for a permissive attitude toward sin does nothing but perpetuate and encourage its soul-destroying cycle which separates us from God, and public humiliation scourges our very soul, traumatizing us to the core of our being. No, what Jesus does for her is what He offers to us: the free will to continue to sin if we so choose, with the caveat, the invitation, to choose a different path, one of repentance, righteousness, and, in time, sanctity, holiness and even deification. Jesus, that beautiful name by which we call the Son of God, means “O Lord, Save!”. He saves this sinful woman in such a direct, simple way. He quietly tells her, “Go, and sin no more.” He gives her the full freedom to go on her way, knowing full well what sins she has committed and what sins she will yet commit because He is her Creator. But He does not condemn her, nor does he humiliate her. He speaks to her gently. He understands her and knows her better than herself. He loves her, for she is His child, and He sends her on her way to heal. Christ’s treatment of this sinful woman is the greatest metaphor for how the Church is to treat her sinners as the living Body of Christ, the New Israel of the New Dispensation: gently, kindly, with quiet firmness, soft words, and warm and loving guidance. Put yourself in this woman’s place. You might feel shame for your sins, and you might feel tempted to run from real repentance if the reality of your sins overwhelms or scares you. Our Lord forgave this woman her sins, her offenses which carried the penalty of death under the Law of the Old Dispensation. Surely He will forgive you of yours! As sinners struggling in our fallen condition, we need Christ and His Church to restore in us the fullness and promise of the faith and light found uniquely in God. We need the Bridegroom and His Bride, we need the Physician of our souls and His beloved Church, to heal us. As difficult as it may be to realize and admit, you need the Church. She is your beloved mother who feeds your spiritual consciousness by which you sense the presence of God. We need you here; you are a part of this body. And you need us. As part of the Body of Christ, as part of the Church, the ekklesia, the assembly of worshipers here on earth and in the next world, we need each other. At the core of our being, we are meant to work out our salvation together through faith and the grace of God. We are saved not as lonely islands in an archipelago of individual sin and repentance and loneliness and spiritual famine, but together, as one whole, as one Body. The true weight of all our sins, and all our rejoicings, and all our love for God, comes together kata holikos– “according to the whole”. In this is the true Catholicity of the Church. In this is its wholeness. 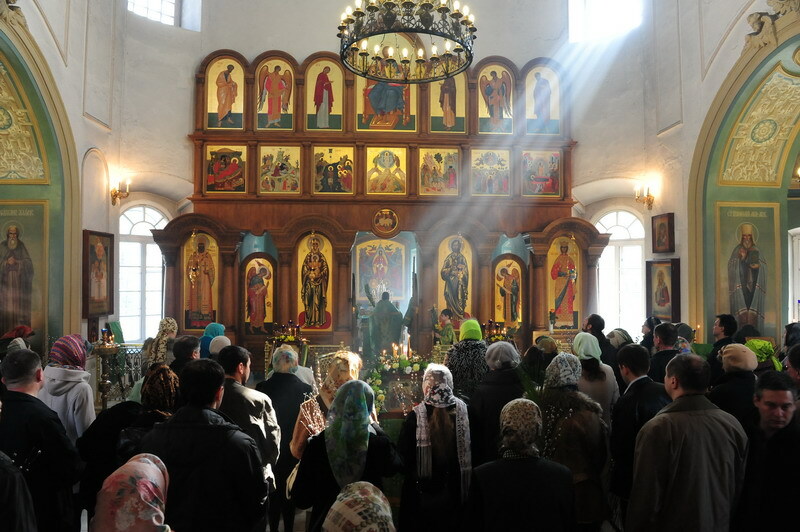 The Church’s universality everywhere, its presence around the world and in heaven, is summed up and dependent on its wholeness– the fullness of its catholicity in your parish, in the monasteries where Christ’s faithful brides and bridegrooms pray unceasingly for us all, and in every Liturgy offered every day throughout the world. This is why we need you. This is why you are such a crucial member in the Body of Christ. As a child of God you have incredible worth in His eyes, and you are precious in the eyes of His Church. If you have been away from the Divine Liturgy, if you have been avoiding confession, do not be afraid. The Lord who raised you to the possibility of eternal life in His Church in your baptism, who sealed the fire of His Holy Spirit into your soul at your chrismation, beckons you to return to the fullness of the life uniquely found in His Church. 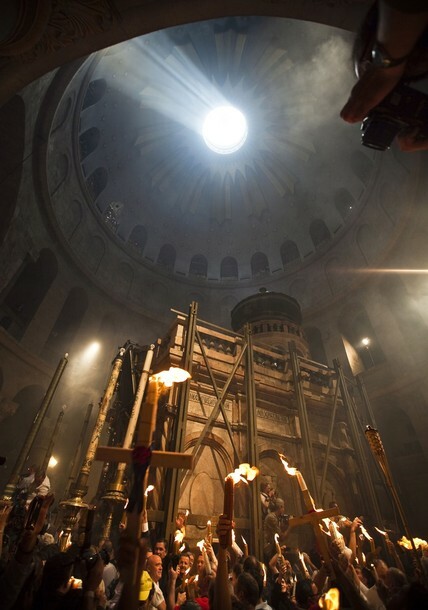 Worshipers at Christ’s tomb in the third century Church of the Resurrection (Basilica of the Holy Sepulchre) in Jerusalem receive the “undying light” of the Paschal flame. Taken from the Paschal vigil, April 15, 2012. As soon as you sense the presence of God in your soul, prompting you in the depths of your heart to seek once more the noetic fulfillment which can only be found as a worshiping creature, I exhort you to respond. Seek after the perfection of God found in St. Matthew’s Gospel: “Be perfect even as your heavenly Father is perfect.” (Matthew 5:48). Like a loving mother, the Church’s steadfast witness over two millennia is entirely positive. 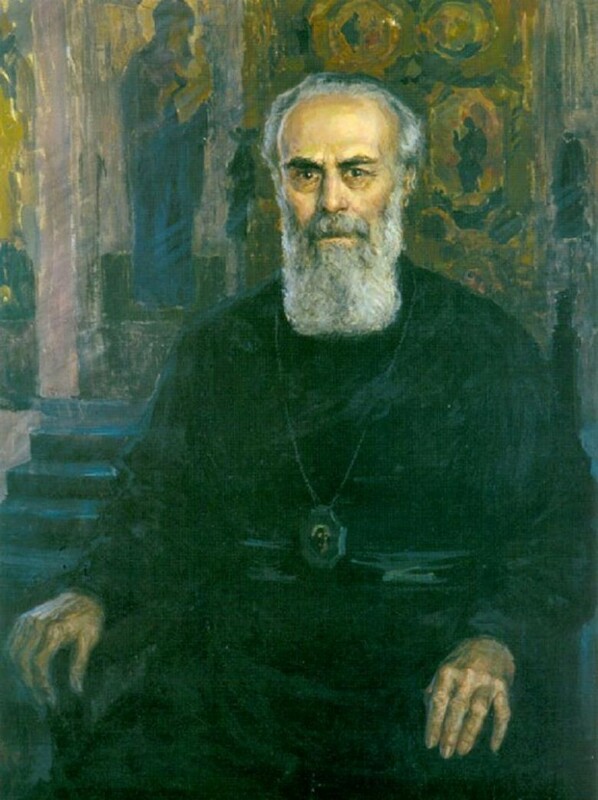 In her invitation to the transcendence of the Divine Liturgy, to the healing process found in confession, to loving service of one’s brethren, even to transformation of your nous, of your very being, by the grace and power of the Holy Spirit, the Church calls you to unite yourself to your Creator, Redeemer and Savior. Do this, that you might be transformed unto the very likeness of God. Do this, that you might be perfected as He is. Do this, that you might become holy, that you might be made a saint. God’s promise of “salvation and joy eternal” remains open to all who seek after it. He waits for your confessions as a Physician ready to heal you, one of His patients. 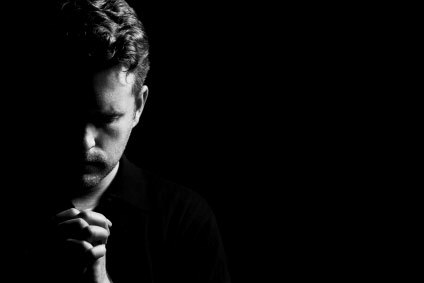 He waits for your prayers as your loving Father to aid and protect you. He waits for your tears of sorrow, gratitude, and repentance unto life everlasting. “Come, open your heart. . .” and let the Spirit of God dwell within you. May the Lord bless you and shine His radiant light upon you. Amen. 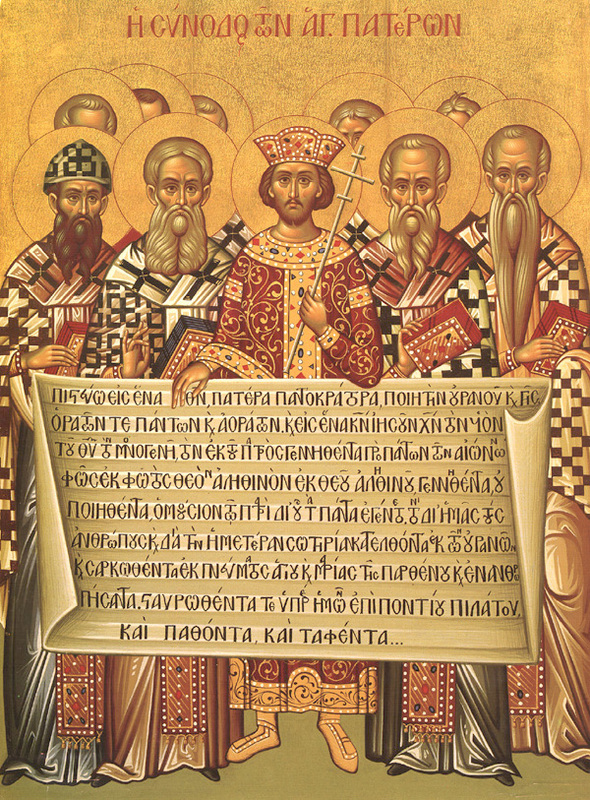 Today on the seventh Sunday in the Paschal season, the last Sunday before the Great Feast of Pentecost, the ‘birthday’ of Christ’s Church on earth, the Orthodox Church commemorates the ‘birthday’ of the Nicene Creed and the Holy Fathers of the First Ecumenical Council held at the city of Nicaea in the year 325. Church tradition holds that 318 bishops traveled to Nicaea where the Emperor Constantine I convened the first ecumenical council representing the whole Church. The composite Greek term katholikos, from kata holos (κατά ὅλος), from which we get the word ‘Catholic”, does not refer to the ‘universal’ jurisdiction of the Church, but the unity of its faith and doctrine. Katholikos literally means ‘according to the whole’. 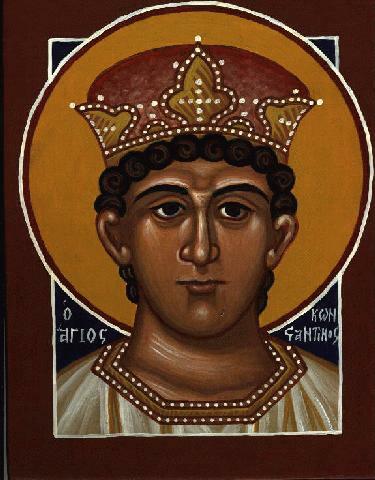 Saint Constantine convened this Council in his role as the Roman Emperor, seeking to end the divisions which the Christological heresy of Arianism was causing in the life of the Church. An extremely complex character: Honored along with his mother St. Helena as ‘equal to the apostles’ for his role in supporting and protecting the early Church, Constantine ended the period of religious persecution which his predecessors, most notably Diocletian, had waged against Christians. As Emperor of the West, in 313 he and his brother-in-law and co-emperor Licinius (Emperor of the East) issued the Edict of Milan ending the persecutions and declaring religious tolerance throughout their domains. After defeating Licinius for control of the whole empire by 324, Constantine initially spared his life due to his sister Constantia’s pleas, but in 325 he ordered his brother-in-law’s execution. He later commanded the deaths of his empress Fausta, his eldest son Crispus, and his nephew, Constantia’s son Valerius Licinius (Licinius the Younger). Baptized on his deathbed, he likely repented of these horrific sins. 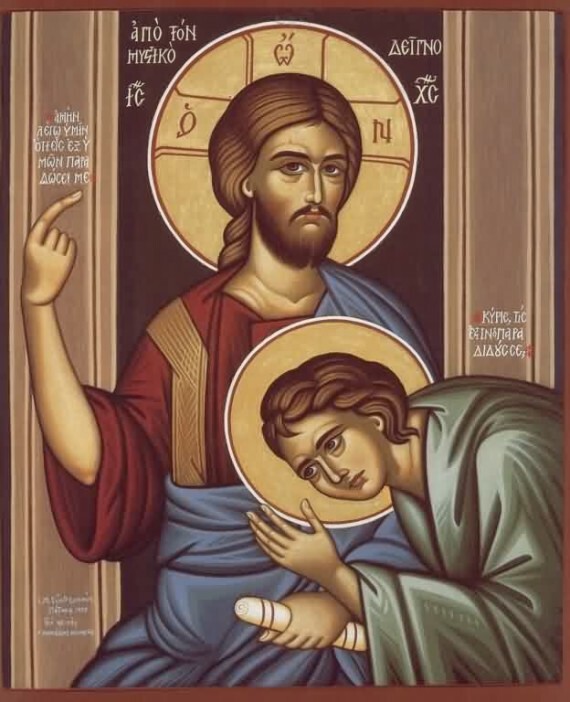 By denying the eternally divine nature of Jesus Christ and His equality with God the Father, Arius falsely taught that the Savior is not consubstantial with the Father, but is a lesser, created being. 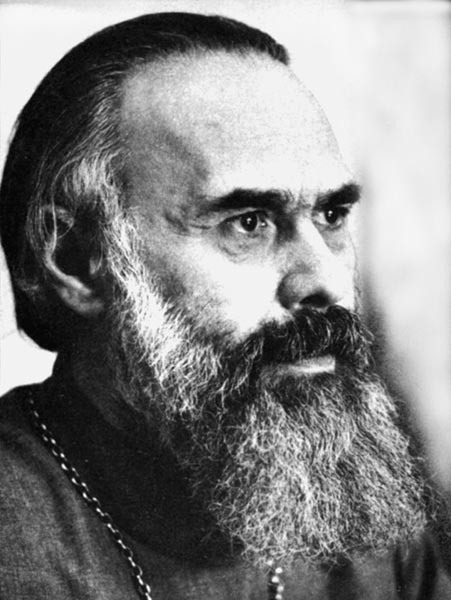 Prior to the Council he had deceived Eastern bishops into supporting his heretical view of the Savior. Among the 318 assembled bishops were many confessors who had suffered during the Roman persecutions of the Church before Constantine issued the Edict of Milan legalizing the practice of Christianity throughout his empire. Several great luminaries of the Church, including St Nicholas, Archbishop of Myra in Lycia, St Spyridon, Bishop of Tremithos, Alexander, the nineteenth Patriarch of Alexandria and his deacon St Athanasius (who succeeded Alexander as Patriarch) and others venerated as holy Fathers were also present. 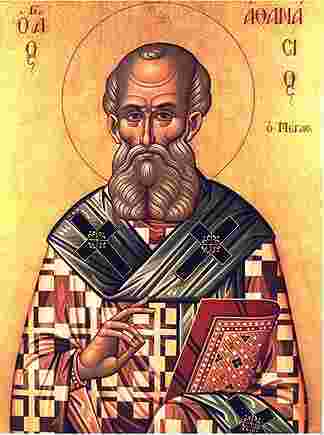 Saint Athanasius (c. 296-373) served as the twentieth Patriarch of Alexandria and is venerated as the “Father of Orthodoxy” due to his stirring and impassioned defense of Orthodox, Catholic Christology against Arius and other heretics in the early Church. Roman Catholics venerate him as a Doctor of the Church, and he is also considered a saint in most Protestant confessions. Church Tradition holds that St. Nicholas of Myra, in his zeal for the Orthodox faith, slapped Arius across the face in righteous anger. 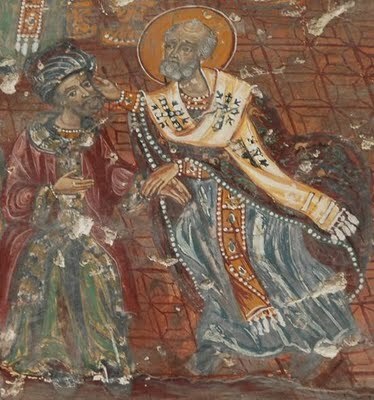 This fresco depicts St Nicholas (c. 270-343) slapping Arius during the First Council of Nicaea. Nicholas served as the bishop of Myra in modern Turkey and was one of the prominent early Fathers of the Church. Venerated as a saint by the Orthodox, Roman Catholics, Anglicans, and Lutherans today, Orthodox and Catholic priests share the care for his miraculous and myrrh-streaming relics at his basilica in Bari, Salento. He is the patron saint of Russia, Greece, sailors, fishermen, and all who travel by sea. The saint served as the inspiration for the popular tales of Father Christmas and Santa Klaus. Despite his persistent efforts to deceive and persuade the bishops to approve his teachings, the Council ultimately condemned Arius as a heretic, excommunicated him, and adapted an orthodox Symbol of Faith, the Nicene Creed, which explicitly repudiated Arius’ teaching that Christ was a created being who was not co-eternal with the Father. Church Tradition holds that the Emperor St. Constantine personally insisted on adding the term consubstantial to the Symbol of Faith, (Greek: homooúsios, Latin: consubstantialis) usually translated into English as “of one essence”. This marble Roman bust depicts Constantine (272-337) as Emperor. Half a century before his rule, Emperor Diocletian (who viciously persecuted Christians throughout his reign) initiated a major political transformation by incorporating Eastern components of monarchical veneration of the person of the emperor into court ceremony in the belief that this would strengthen his power and prestige. The illusion of a Principate, the notion that the emperor ruled in conjunction with the wishes of the ancient Senate and that a ‘republic’ still existed, gave way to unparalleled displays of autocratic power, with the Emperor seen as the manifestation of the majesty of Rome itself. This is why Diocletian came to demand that Christians offer incense to his image: he came to believe that as emperor, he was divus, a god. To facilitate administration of his domains, Diocletian divided the empire into East and West, to be governed by two senior emperors with the title of ‘Augustus’ supported by two junior ‘Caesars’ or deputy emperors. This system, called the Dominate, was designed to facilitate administration and military movement throughout the Roman Empire in the wake of invasions. It perpetuated an unstable system of armies proclaiming their generals as emperor. 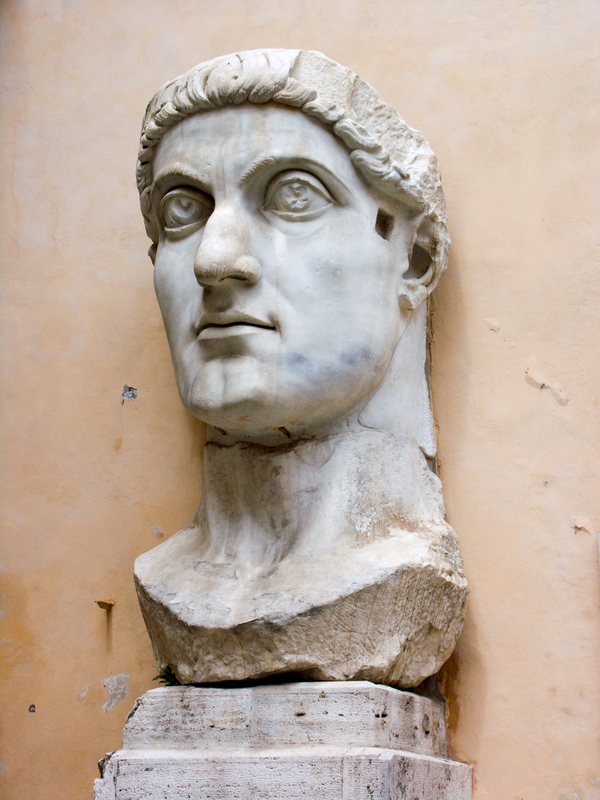 Constantine spent his early reign fighting wars against several rival claimants to the Western throne (based in Rome) after his troops hailed him as Augustus in Roman Britannia in 306. He ultimately established the Greek port of Byzantion as his new capital, renaming it Nova Roma (New Rome, or Nea Roma in Greek) in 330. The First Book of John is one of the most beautiful letters in the New Testament. Writing toward the end of the first century, St John the Theologian, “beloved disciple” of Christ and author of the Gospel of John, addresses faithful Christians on the importance of confession and repentance of sins, God’s love for His children, and His commandments for us to truly love one another as “children of God”. St. John repeatedly emphasizes that we are to show our love for one another not “in word or in tongue, but in deed”, and warns against the tragedy and darkness of hatred, which is murder of the heart. First John also contains a powerful testimony of the Holy Trinity, as well as the Church’s holy mysteries of baptism, chrismation, and the Eucharist, through which Christ and His Spirit dwell in us. The apostle also repeatedly identifies Christ as God and God as love. St John the Apostle, whom the Church holds to be Jesus’ “beloved disciple” mentioned in John’s Gospel (20:2, 21:24), was the youngest of Christ’s Twelve Apostles. 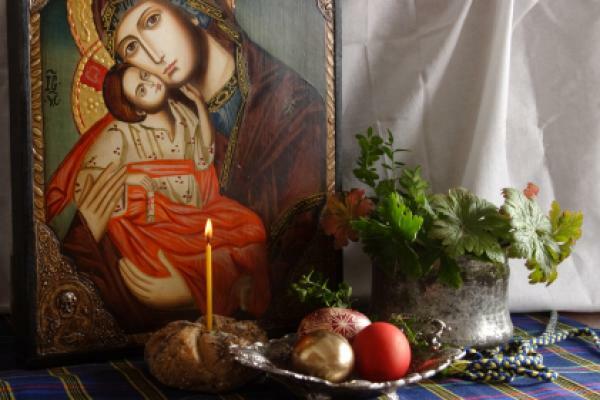 The Scriptures and Church Tradition hold that he was the son of Zebedee and Salome, one of the myrrh-bearing women disciples who sought Christ at His tomb on the Resurrection. Salome is believed to have been one of the daughters of St. Joseph the Betrothed from his first marriage. 1) God is light and calls us to walk in this light, which is true communion “with one another” and the path to Christ’s all-cleansing love. 2) God calls us to confession, forgiving and cleansing repentant sinners of all “unrighteousness”. Christ does not abide in those who deny their sins. 3) The love of God abides in the upright and the faithful. St. John here refers to Christ directly as God, urging the righteous “to walk just as He walked”. 4) Hatred of one’s brother darkens the soul and obscures God’s light, blinding the hateful person and leading him astray. 5) God forgives the pious their sins, and makes Himself known to those who become like unto “little children”, delighting in simplicity and truth. St. John here describes three stages in Christian life: the “little children” are the newly illumined converts in the faith, the “fathers” are those mature and wise with many years in the faith, and the “young men” are those whose zeal for the faith helps them “overcome the wicked one”. 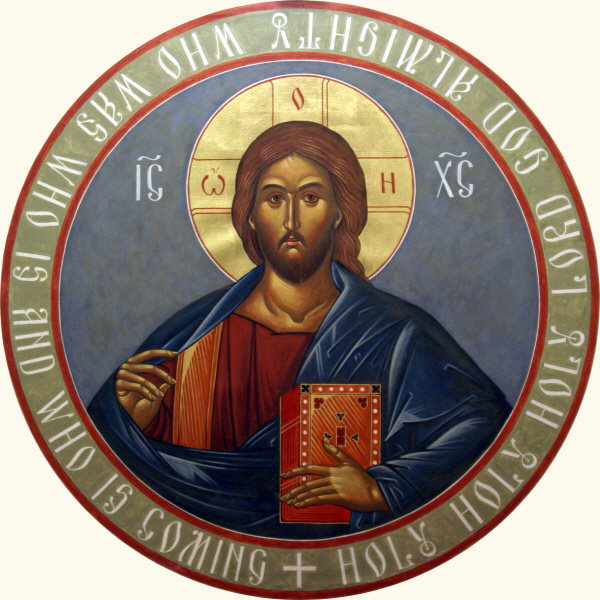 The apostle again describes Christ as God, “Him who is from the beginning”, begotten before created space or time. 6) God promises His faithful servants eternal life. 7) We are beloved “children of God”. Our Heavenly Father loves us and beckons us to become “like Him” purifying and sanctifying our bodies, spirits and souls in faith. St. John testifies of the early Church’s belief in deification or theosis. As he reiterates once again that we are “children of God”, he reminds us that “it has not yet been revealed what we shall be” and that when the faithful shall someday see God “as He is”, “we shall be like Him”. 8) In ringing words St. John condemns those who do not love their fellow men as abiding “in death”, decrying anyone filled with hate as “a murderer” in whom the promise of eternal life in Christ is absent. 9) Just as Christ “laid down His life for us”, we ought to be willing to sacrifice all for our brothers and sisters. St. John exhorts us to live in a spirit of charity toward all and embrace and assist those in need. The love of God is clearly absent from any selfish and heartless men. 10) St. John exhorts us to show our love not “in word or in tongue, but in deed and in truth”, urging us to undertake loving actions which show our uprightness of heart in “the truth” of the Christian faith. He reminds us that God “knows all things”, our thoughts, actions, and inactions. 11) St. John reiterates Christ’s commandment for us to love one another just as He loves us, “for love is of God”. He who loves is “born of God and knows God”, another reference to Christians as children of God. Those who do not love cannot possibly come to know Him, for “God is love”. The apostle reminds us of the core message at the heart of the Gospel—that God “sent His only begotten Son into the world, that we might live through Him.” The notion that God is loving, that He is love, is entirely unique to Christianity. 12) God’s love abides in those who love the Father, His Son, and each other. St. John promises us that “if we love one another, God abides in us” and His Spirit dwells in us. The apostle makes a beautiful declaration of his faith in the “Savior of the world”, and reiterates that “whoever confesses that Jesus is the Son of God, God abides in him, and he in God.” Thus, love of our fellow men and faith in Christ the Savior are twin pillars of the Christian life and witness. St. John again testifies that “God is love”. 13) St. John reiterates that someone capable of feeling hate cannot possibly love God, and if he claims to love God while he “hates his brother”, he is condemned as “a liar”. Those who love God must necessarily love their brethren. 14) Those who believe in Christ are “born of God” and so they must love their brothers and sisters as fellow “children of God”. St. John assumes that love for God and love for God’s creation are coterminous and self-evident. When we love God, we naturally strive to “keep His commandments”. If we focus on our love for Him, these commandments will not be “burdensome” to us, and we will be able to persevere and “overcome the world” of temptation to sin. 15) When he writes of Christ as “He who came by water and blood. . . not only by water, but by water and blood”, St. John beautifully references Christ’s baptism by the Forerunner St. John the Baptist, His institution of the Eucharist, and His voluntary death on the Cross. Water represents the Savior’s baptism in the River Jordan, blood represents the wine at the Passover Seder which He transformed into His own blood, and the “water and blood” together refer to that which poured from His side when the centurion stabbed Him with his spear. The apostle then evokes the Holy Trinity when he writes of the “three that bear witness in heaven: the Father, the Word, and the Holy Spirit; and these three are one.” In Greek, the words used here reflect the very essence or nature of the Godhead’s oneness. τρεῖς ἕν εἰσιν, literally “the three [within] one”: “the three” are not joined in a composite union of three distinctly separated Persons, but from the words used, they are essentially united as one God. The contrast between St. John’s description of the Trinity and his description of the “three that bear witness on earth: the Spirit, the water, and the blood” is evident because whereas in describing the Trinity he writes “these three are one”, with the witnesses of Christ “on earth”, he writes “these three agree as one”, and are thus not essentially one. In Greek this word arrangement appears as τρεῖς εἰς τὸ ἕν εἰσιν, very much distinct from the τρεῖς ἕν εἰσιν used to describe the Trinity. The earthly witnesses of “the Spirit, the water, and the blood” represent three mysteries of Christ’s Church: chrismation, baptism, and the Eucharist, respectively. 16) God has granted us eternal life in, through and by His Son Jesus Christ. Our true benediction and fulfillment as humans is inseparably tied to Christ, for without Him we do “not have life”. St. John exhorts us to believe in the Savior, “that you may know that you have eternal life” and he urges us to persevere in faithfulness and “continue to believe in the name of the Son of God”. 17) We can have an unshakeable confidence in God that “whatever we ask”, “He hears us” and answers our prayers in faithfulness. 18) In his closing, St. John reaffirms that “we are of God”, His beloved children living in a fallen world “under the sway of the wicked one”. We have Christ’s promise that He will remain with us, for “the Son of God has come and has given us an understanding, that we may know Him who is true”. We have the promise of eternal life in Christ our “true God”. Let us cleave to Him, and turn from the false gods of this world and the many “idols” it puts before us to distract us from our Lord. The above passages from Holy Scripture are taken from the New Testament text of The Orthodox Study Bible published in 2008 by the St. Athanasius Academy of Orthodox Theology. The text used is the New King James Version © 1982 by Thomas Nelson, Inc. The Divine Liturgy, (Greek: θεία λειτουργία, Russian: Божественная литургия) of St John Chrysostom (d. 407) is the second most practiced Liturgy in Christendom (next to the Roman rite Mass). This video is a tribute to the great Liturgy of the East, not a live presentation of it. 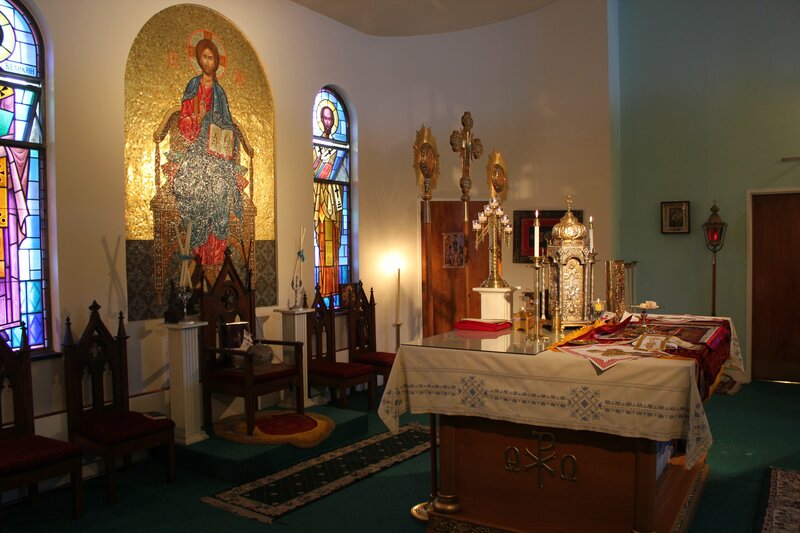 This is the most frequently used Divine Liturgy of the Eastern Churches (Orthodox and Catholic) throughout the liturgical year. This video contains a number of images of the Liturgy in practice across a wide array of churches and rites. 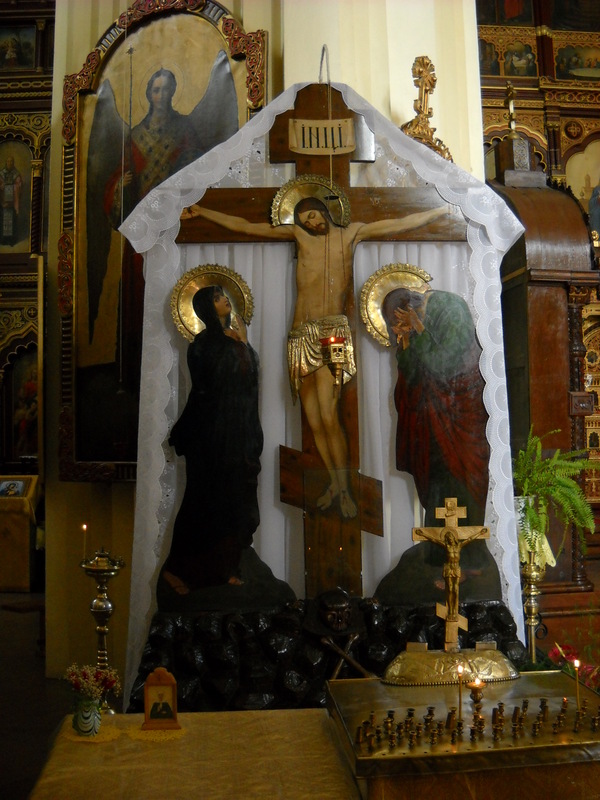 The musical selections, from the CD “Sacred Treasures” are (in order) the Great Ektenia, Cherubic Hymn, Amen and With Thy Spirit, and the Lord’s Prayer (Otche Nash). May the Lord bless you! Thanks to the YouTube user “catholicpeter” for uploading this video. What do you call a country that issued a permit for citizens to rally, but then barricaded the audience away from the speakers, many across a canal? What do you call a state that allowed scheduled speakers to only briefly appear on stage and then send police crashing onto the stage to interrupt the speaker and arrest him for speaking against the government? What do you call a government that allowed the first two speakers to appear on stage but was so afraid of the third speaker, popular civic leader Alexi Navalny, that he was forcefully arrested and not even allowed to go on stage? Some still call it Russia. Others don’t know what to call it anymore. Thanks to Kevin Sutherland for his outstanding suggestions in web design and all his help in putting this site together!